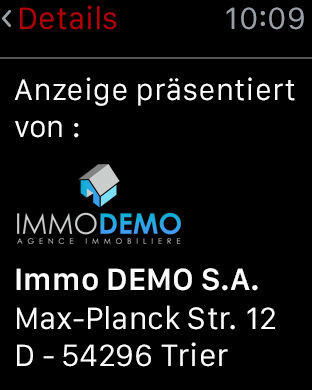 atHome.de, the real estate portal for your Property search in the Rhineland-Palatinate & the Saarland regions of Germany. Whether you are looking for an apartment or a room for rent, a house to buy or even investing in new constructions purchased from builders or developers, atHome.de will lead you there. ▷ Search from our +8,000 real estate listings to find a property for sale or rent across the Rhineland-Palatinate & Saarland areas of Germany. ▷ Browse property listings from 150 real estate agencies, developers and builders or listings from private homeowners. 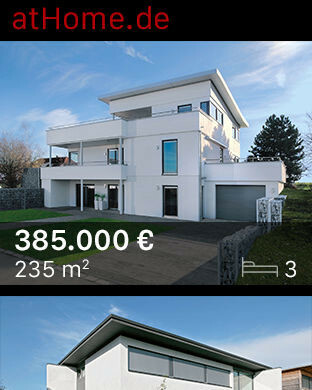 ▷ Discover the new home designs in the Rhineland-Palatinate or Saarland region. Contact or call directly the builders and developers to see the plans or visit the new construction. We would love to hear from you! 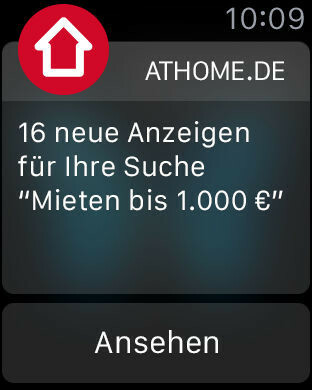 If you have any feedback about the app or suggestions for future versions, let us know at support@athome.de.